Calling ALL 2021, 2022 Titans! What are your goals for life after high school? Are you on track to achieve those goals? What can you do now to make sure you’ll be a great college applicant? 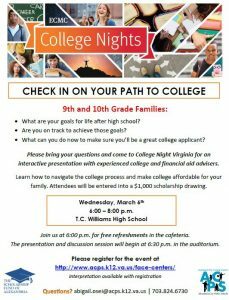 9th and 10th grade families, please bring your questions and come to College Night Virginia on Wednesday, March 6 for an interactive presentation with experienced college and financial aid advisers. 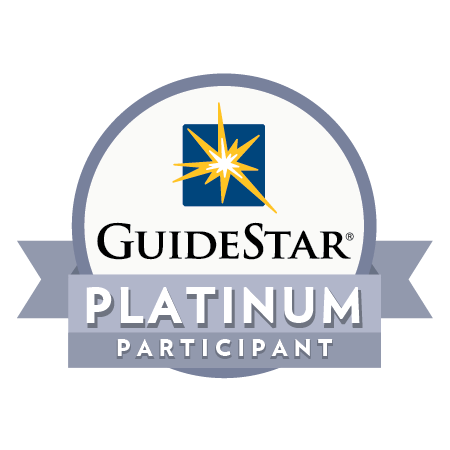 Learn how to navigate the college process and make college affordable for your family. Attendees will be entered into a $1,000 scholarship drawing. Join us for free refreshments at 6:00pm in the cafeteria; the presentation and discussion session will begin at 6:30pm in the auditorium. Please register for the event at http://www.acps.k12.va.us/face-centers/. Interpretation will be available with registration. Questions? Contact Abigail Osei, college adviser with the Scholarship Fund of Alexandria at abigail.osei@acps.k12.va.us or 703-824-6730.